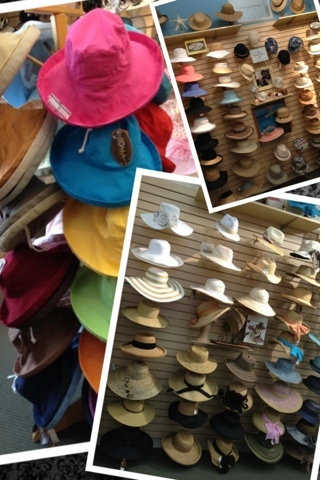 Beauty & All That: Summer Travel Essentials: Dorfman Pacific hats! Now that you've got your skin protected from the sun, why don't your provide additional coverage to your face and neck with Dorfman Pacific's summer hats? I got a preview of their summer collection (as well as a Fall sneak peek) in their showroom this month and boy, I have never seen so many hats in one room! For the summer, it's important to look for a wide-brim hat (shown below) and depending on your personal taste, in either a cotton or straw material. The bright colorful cotton hats on the left are from the Scala Collezione collcetion is in my personal closet because they're easy to wear, have an adjustable string inside so it fits most head sizes, and it's frankly easy to tote. You can squish it in your bag and take with you wherever you go! 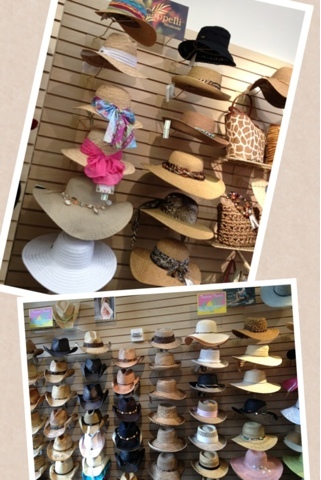 The hats on the top right are from Tommy Bahama and also offer some great colors and styles to wear. If you're interested for more wide-brim hats that scream "luxury resort living" the Callanan Resort collection have some great sophisticated styles and focuses on detailing! As you can see, each hat looks different from the shades of white/tan/beige to the detailing in the ribbon trims and bows. More Hats below!! I loved the different vibrant ribbons and seashell trims for these hats from the Cappelli Straworld collection. If you're on the wild side, I suggest the hats with the animal print ribbons. If you're feeling a bit more western and love the cowgirl theme, Tropical Trends has some beautiful cowgirl hats with beaded detailing to complete your western look (shoes not included). As you can see, Dorfman Pacific has their own and licensed brands of hats to suite whatever your style, preference and liking may be for this summer. It's definitely a summer travel essential!